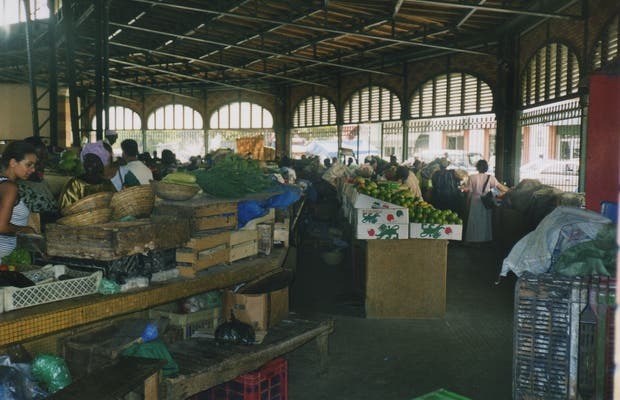 Kermel market which dates back to 1860 is one of the most important sites in Dakar. Here there is more than the bustling daily life of the Senegalese, with their purchases and back and forth from one side to another. It is also one of the most visited tourist places. To get there we take Sarraut Avenue to the east. You cannot miss it as it is a colonial-looking building, with bright colours on its facade and is very well preserved. Furthermore there are people moving nonstop. Its outer beauty of the building is amazing, but you have to head inside. It is full of captivating colours, shapes and smells.